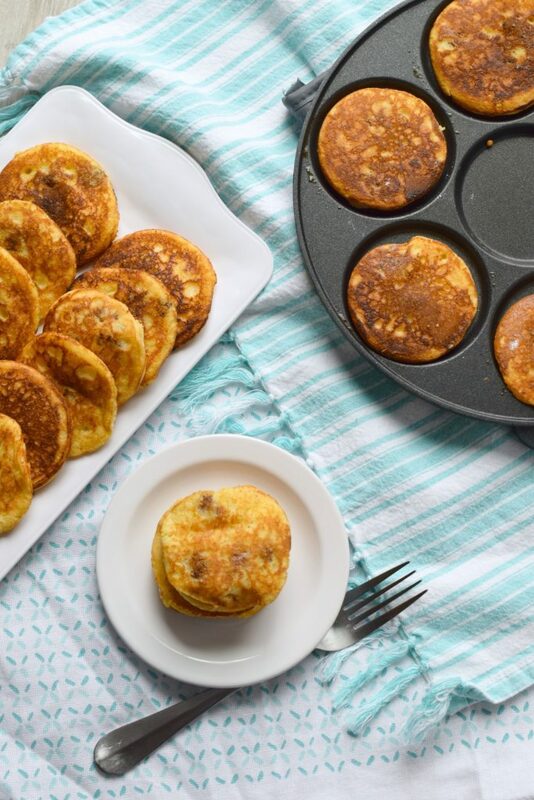 Cornbread & Sausage Pancakes - Who Needs A Cape? 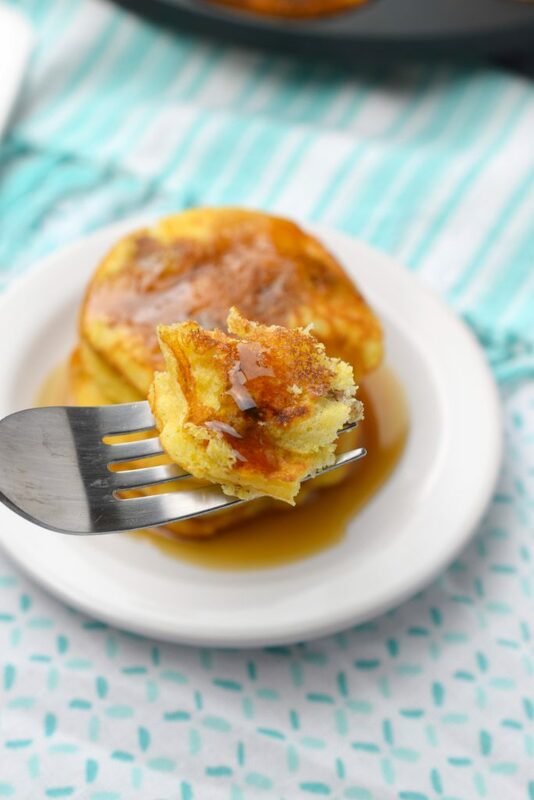 Cornbread & Sausage Pancakes are my favorite way to enjoy pancakes. With chunks of breakfast sausage inside, brunch just got that much better. 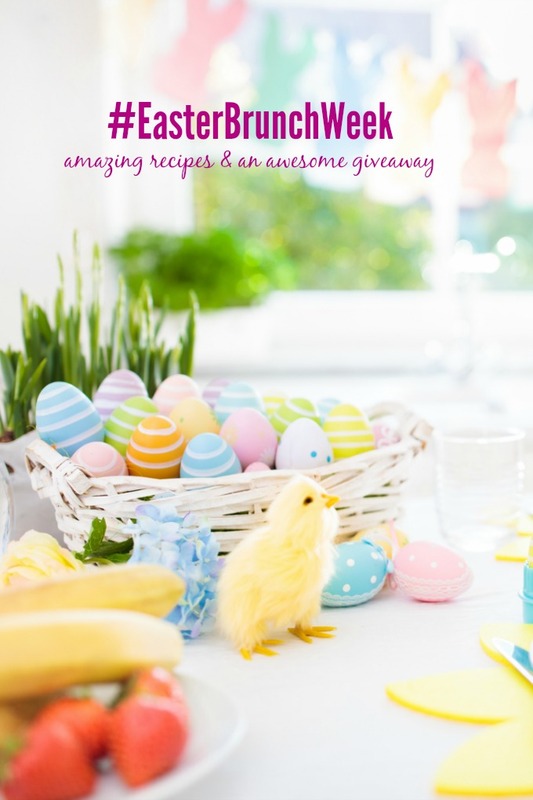 Well, friends, we are roughly halfway through #EasterBrunchWeek and I really hope that you’ve been following along and enjoying. 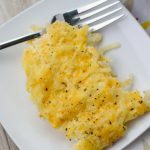 I have 3 more recipes debuting through Monday plus today’s new post. 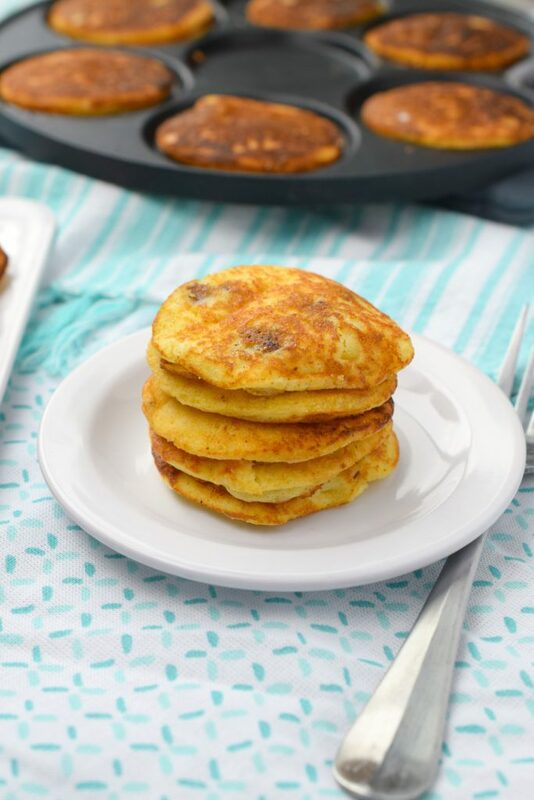 Today I’m bringing you some tasty little bites, Cornbread & Sausage Pancake. 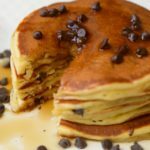 But not just pancakes, Silver Dollar Pancakes!!! These tender and delicious additions to brunch will be a huge hit. How do I know? Well, they passed the “fussy kid” test with my youngest, and if you’ve been following along for a while you know she’s FUSSY. 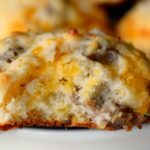 The basis of this recipe begins with a boxed corn muffin mix, yup good old Jiffy Mix. This classic baking staple is made practically in my back yard, just a couple of towns over in Chelsea, Michigan. I even took the factory tour once with one of my daughters and her class. 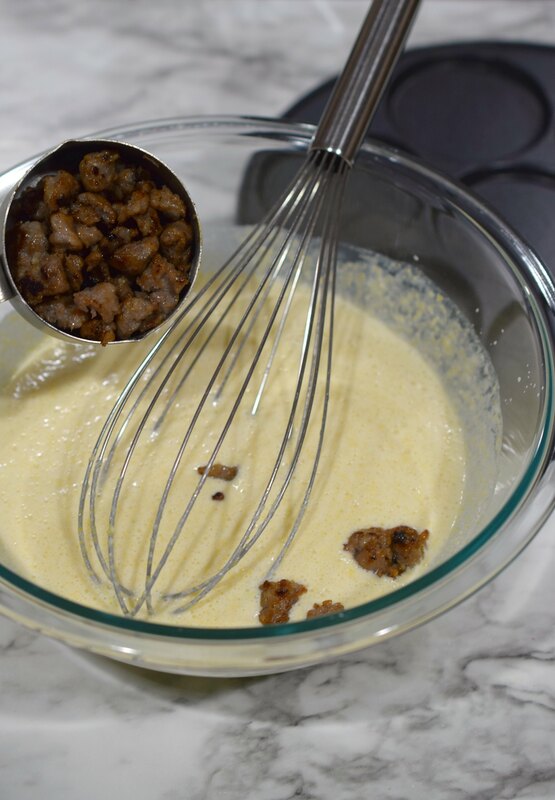 Cooked and crumbled breakfast sausage is mixed into the batter. 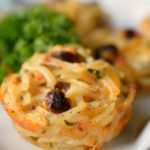 It adds a fun touch and makes these little fellas a meal in themselves. 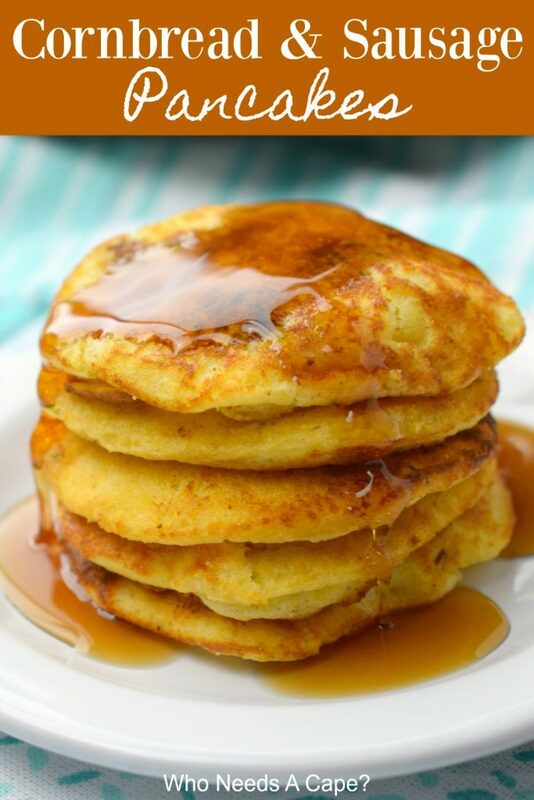 And with their Silver Dollar size, they are perfect for both kids and adults and especially brunch time. 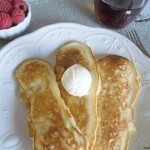 I received a fun Silver Dollar Pancake Pan from Nordic Ware, it made making Cornbread & Sausage Pancakes a snap. I’m not a professional pancake maker and getting pancakes to be a consistent size just doesn’t happen in my kitchen. 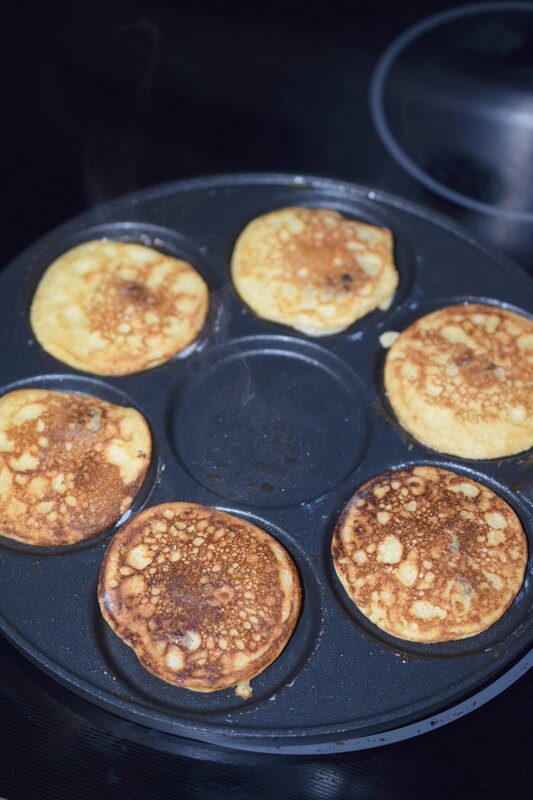 If you are looking to impress get yourself a Silver Dollar Pancake Pan from Nordic Ware, no eyeballing required. 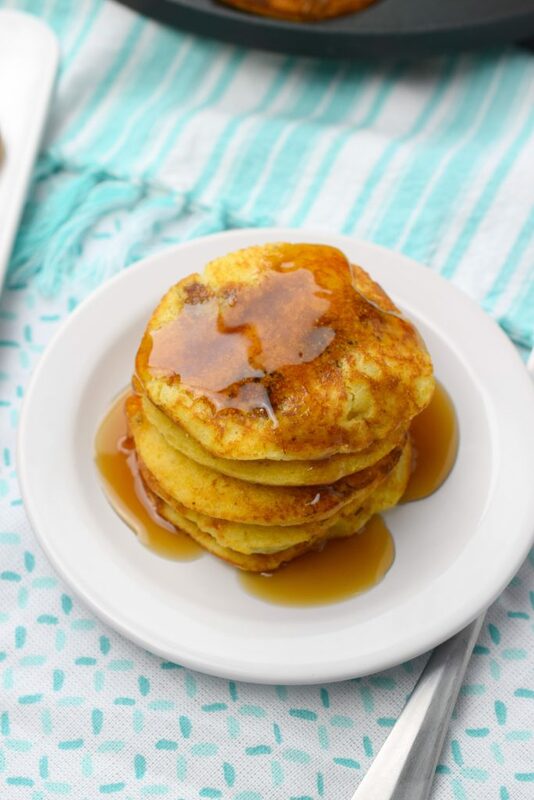 You’ll be making perfect size Silver Dollar pancakes. 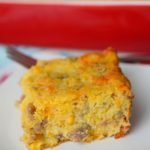 What do you need to make Cornbread & Sausage Pancakes? Quantity will vary depending upon size made. I made 20 Silver Dollar sized pancakes. If the batter is too thin, add a small amount of flour. I used a 1/8 cup measuring cup for Silver Dollar size pancakes. This is approximately 2 Tablespoons. 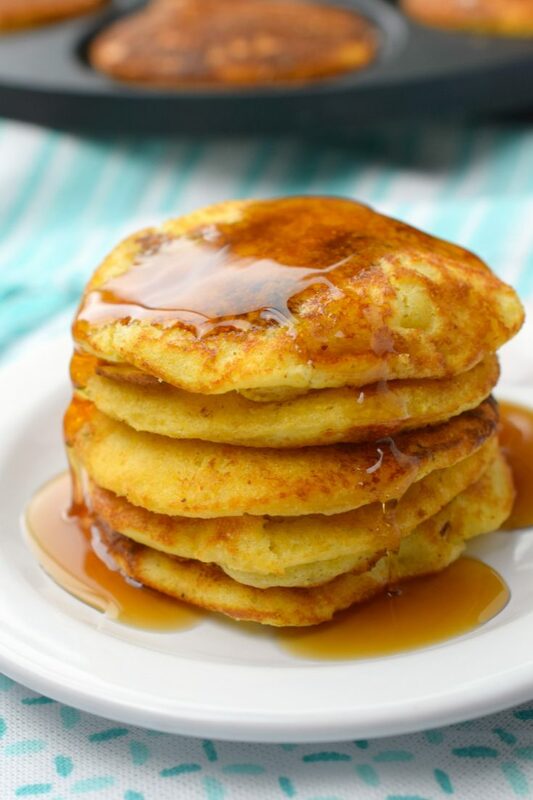 Yes, these pancakes can be made into full-sized too. 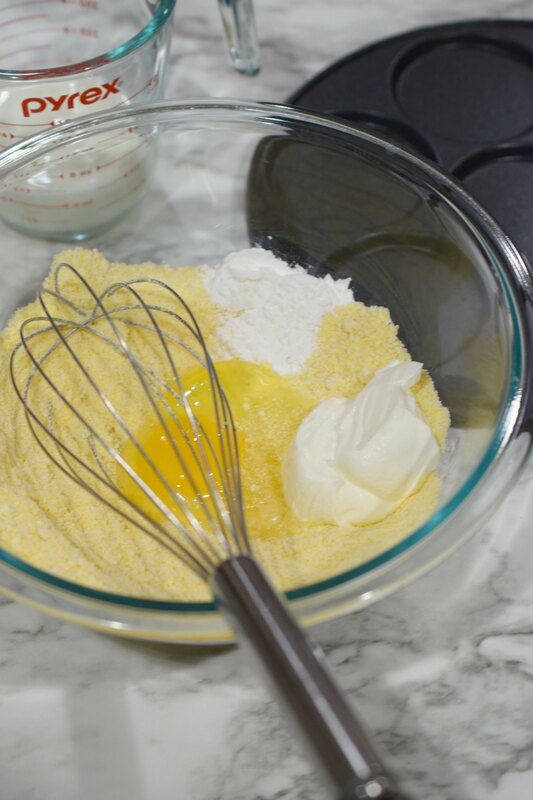 In mixing bowl combine: Jiffy Corn Muffin Mix, egg, baking powder, sour cream and milk. Stir to combine. Add breakfast sausage, stir to combine. 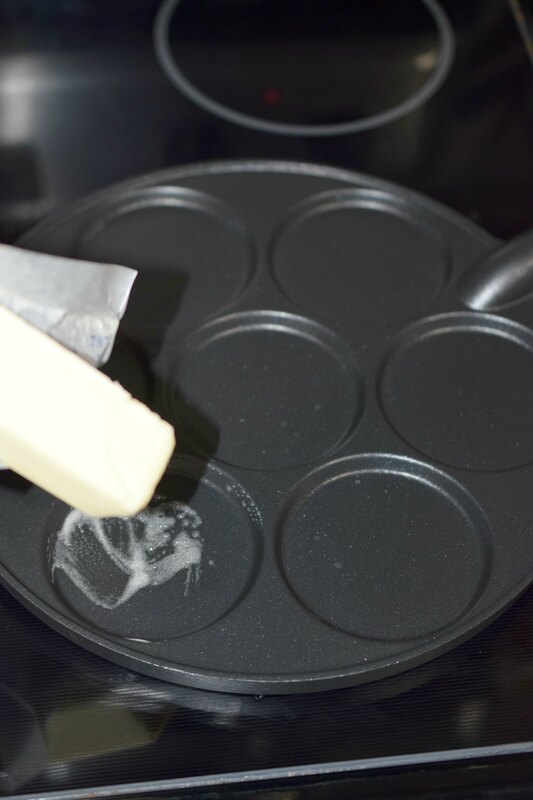 Rub butter on heated pan. 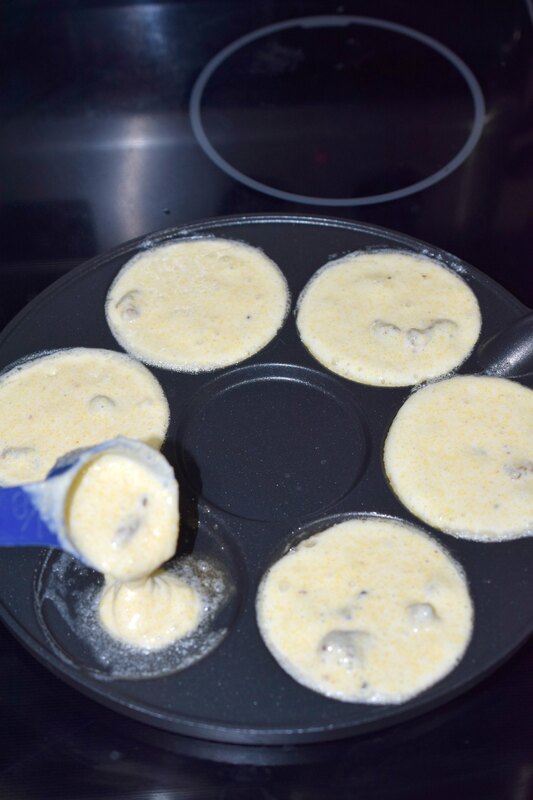 Using 1/8 cup measuring cup, add batter to pan.